Passport Office strike or not, I need to get mine renewed before I head off to France in November. One hopes that 4 months is sufficient time to complete this rather expensive and time consuming process. First port of call is the dreaded passport photo – can someone please tell me why it is necessary to make your picture resemble a mug shot? “The person in this passport was once the life and soul of the party but now they are just an empty shell, devoid of emotion or personality. Let them into the country”! And since when have they started dictating your hair style?! 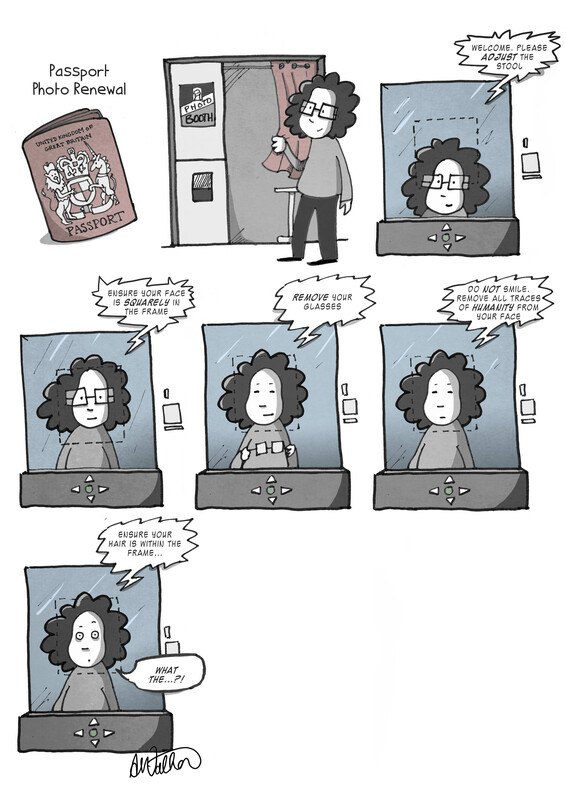 This entry was posted in General, Life, travel and tagged cartoon, comic, funny, humor, passport, photo by bighair63. Bookmark the permalink.